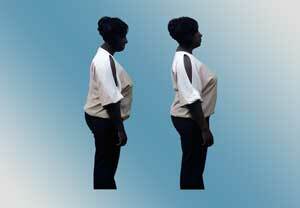 Why is posture such a big deal to our health? It’s the missing ingredient that’s been ignored in our health care. Let’s put it this way. If you and everyone else in America had ABC™ since birth, life would be very different here. We wouldn’t be spending nearly as much on medical care for one. Hip replacements, knee replacements, shoulder replacements and back surgery’s would mostly be done only in cases of severe trauma like getting hit by a car or falling off your roof. In reality, all these surgery’s are common place and considered a normal part of aging. Neck pain, upper back pain, lower back pain and more are so common that a person is considered lucky if they don’t have these problems. Everything I’ve mentioned up to this point is due to faulty structure and ABC™ can often correct and easily prevent these problems before they begin. But I bet this is the first time you’ve ever heard of concepts like this. Consider yourself lucky that you’ve stumbled upon this website. The people that have learned about ABC™ are happy they found out about it. Sounds too good to be true, but if you look a little further into it, we can prove it’s worth and benefit to you.